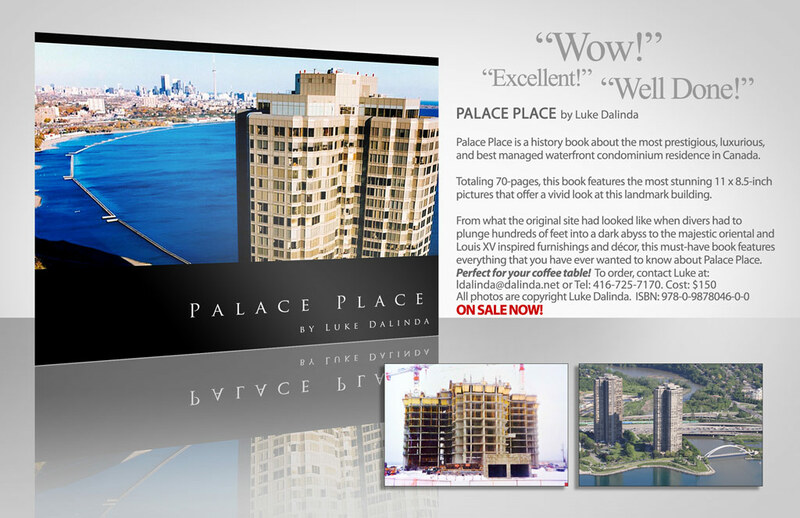 Palace Place is a history book about the most prestigious, luxurious, and best managed waterfront condominium residence in Canada, which has been written by Luke Dalinda. Totaling 70-pages, this book features the most stunning 11 x 8.5-inch pictures that offer a vivid look at this landmark building. From what the original site had looked like when divers had to plunge hundreds of feet into a dark abyss to the majestic oriental and Louis XV inspired furnishings and décor, this must-have book features everything that you have ever wanted to know about Palace Place. 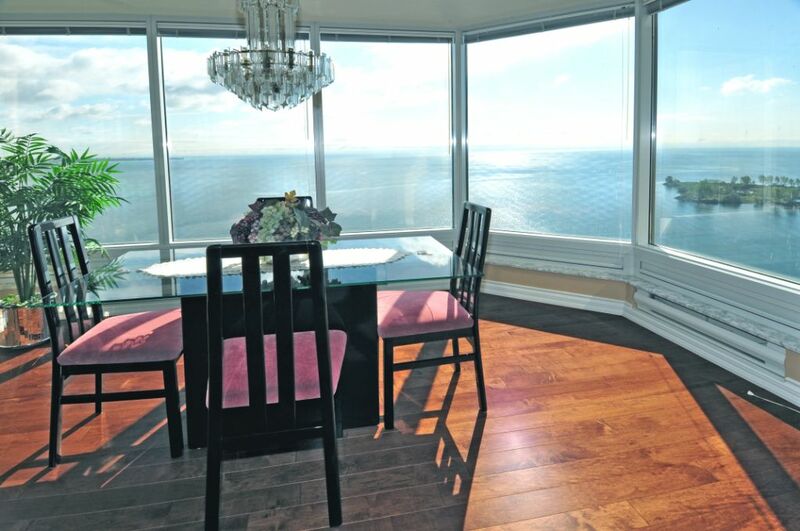 Suite 2906 is a magnificent condominium residence, with approximately 2,028 square feet of living space and enchanting views of Lake Ontario, the city, and the Humber Bay Shores parkland. 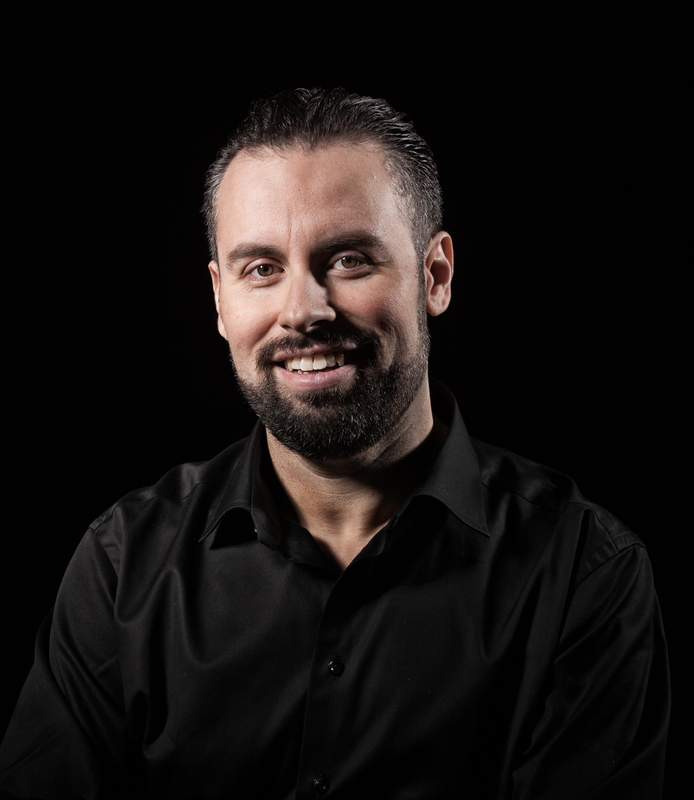 Call Luke Dalinda today to tour!